For the cost of some cheap wood (or use free scrap wood) you can create your own “square foot garden”. Mix in a few types of high quality gardening soil and some organic seeds and you too can reap the benefits of fresh vegetables in your backyard. 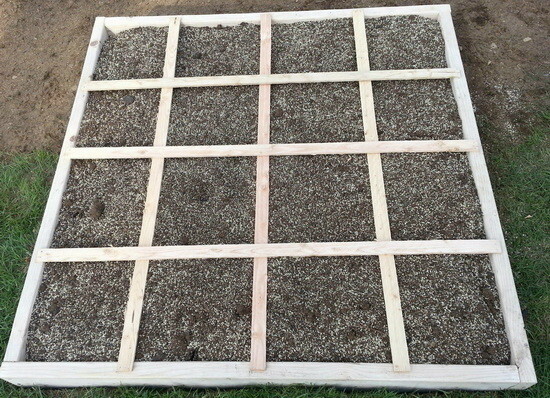 There is no simpler way of creating an efficient garden than using the square foot gardening technique. The principle is simple, build a square shape, create square foot squares and grow vegetables in that space. 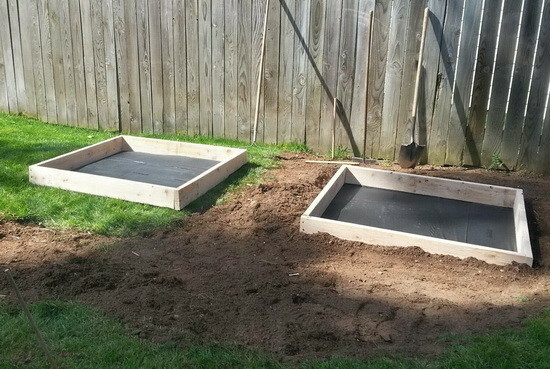 Check out our step-by-step tutorial below and find out how to make your own square foot garden. square foot “grid” garden boxes ready for planting. 1. 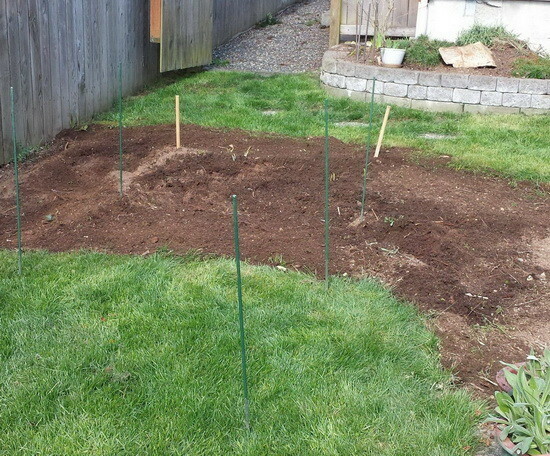 Find a spot in your yard that will be sufficient to locate your new square foot garden. 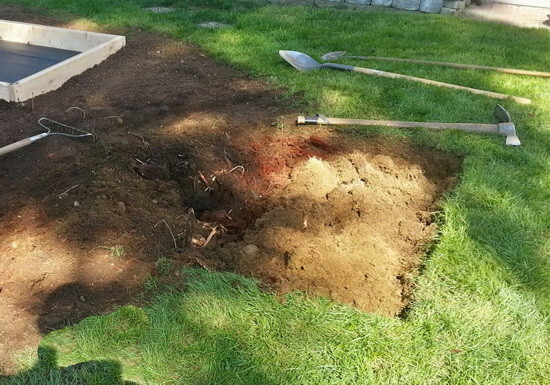 Once chosen, measure out the area and remove the grass and weeds from that particular “square”. 2. If you choose, you can dig up some of the soil so the “square” is not sitting on top of the soil. This can help keep the wood and the garden itself in place by being a few inches underground. 3. 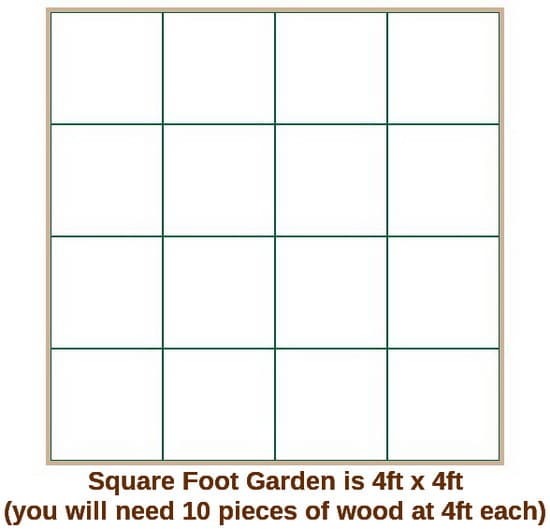 Purchase the wood and build the frame of your square foot garden 4ft x 4ft. Note: You can build any size square you wish, but build the grids inside to be one square foot each. 4. 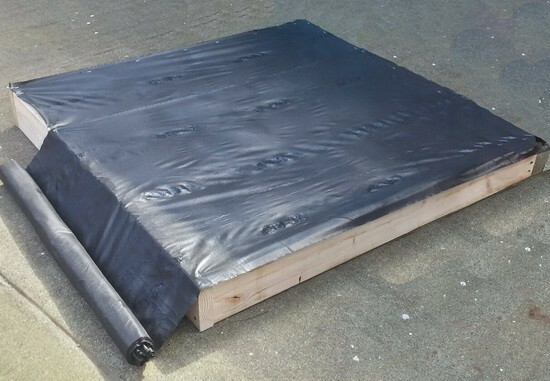 Apply a weed blocking plastic or cloth to the bottom of your square using a staple gun or nails. This will keep the weeds from growing up and through your garden. 5. Level the ground as best as possible and place your square foot garden in place. 6. If you are building multiple square gardens, place them apart with enough room to walk through. 7. Here the 3 square ft gardens are placed and spaced properly in the yard and ready to be filled with soil. Be sure each one has the weed blocking material attached to the bottom. 8. Purchase the soil for your gardens. Use the best quality soils if possible. 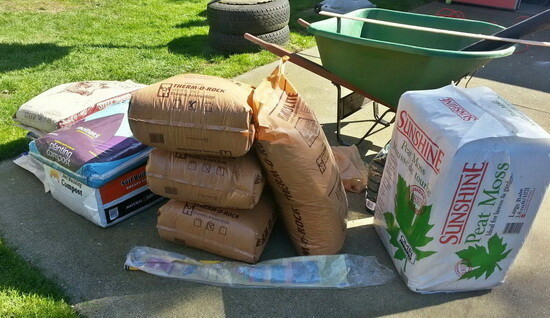 The best veggie garden soil mixture is 1/3 Vermiculite 1/3 Peat Moss and 1/3 Compost. 9. 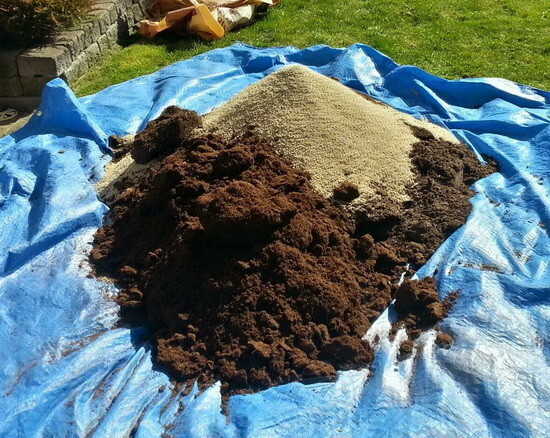 Lay out a tarp or similar and pour out the 3 soil ingredients and mix them thoroughly together. Mixing with an extra large shovel is the easiest for mixing up soil. 10. Fill your square foot gardens with the garden soil mixture and fill evenly. 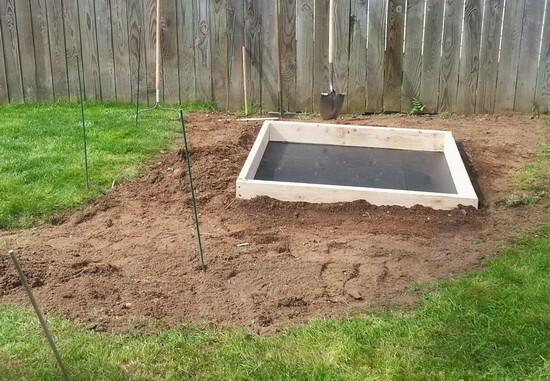 Use a shovel to fill the box and a rake to level out the soil on top. 11. Next, create the “squares” in your garden by using simple small slats of wood and lay them across the frame. Nail or staple the slats of wood in place making sure that the squares are 1ft square each. 12. 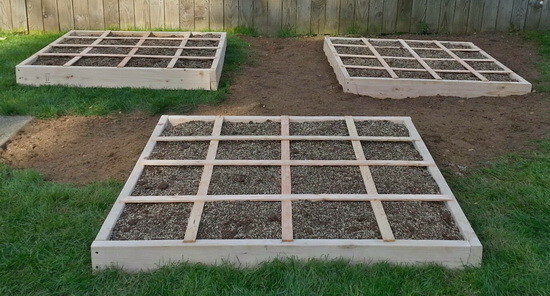 Your DIY Square Foot Garden is now ready to plant your vegetables in! You will surely see the benefits of this simple gardening method once growing begins! Here is what and where we will be planting in our 4ft x 4ft vegetable garden! Lettuce, Green Peppers, Rosemary, and Tomatoes. 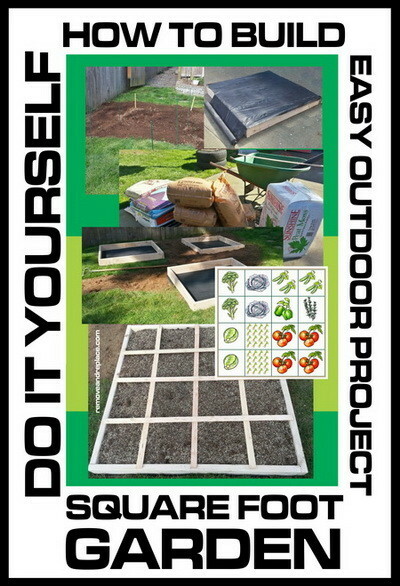 square foot garden design planner tool that will help you configure everything before building. 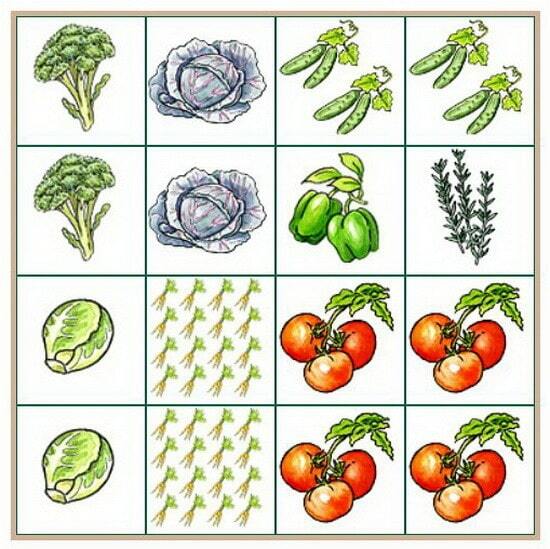 This tool also lets you choose and place what types of vegetables you will be growing in your garden. Previous post: 50 Homemade Easter Decorating Ideas – DIY Decorations!